There has been a big focus today on the cyber-attacks over the past few days. Some news outlets are reporting that the attacks may come from North Korea — something many people are already doubting given that country’s limited technology infrastructure. I’ll be on DC’s NewsChannel 8’s Federal News Tonight at 7:30p ET talking about this. 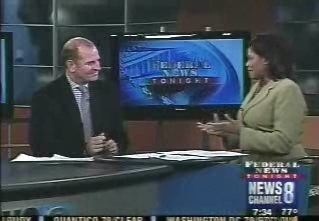 UPDATED: You can see the video of me on NewsChannel 8 tonight here. I’ve been speaking to a number of people throughout the day about what this means. Many government cyber-security experts suggest that the timing of the attacks — starting on the Fourth of July — is probably not accidental. The big question, actually, is whether this will spur further action by the Obama administration — for example, like naming of what we have all taken to calling the cyber-czar. * The DorobekInsider reader: Obama cyber policy review… At the end of May, the President announced the results of his 60-day top-to-bottom review of the nation’s cyber-security defenses. I have a number of resources — everything from links to the document itself to a Congressional Research Service Review. Find it all here. Others mentioned include former Rep. Tom Davis — he tells Federal News Radio 1500 AM’s Max Cacas he’s not interested — among others. Summertime Action: Naming a cyber czar, reforming FISMA, securing the cloud, enhancing R&D and updating the Privacy Act… read more here.